5 Custom Adventure Bikes Built By "Real People"
 These impressive bike builds will inspire you to start your next project. There are a lot of custom built motorcycles that get exposure on television and in the magazines. Typically, they are custom cruisers, cafe racers or sport bikes that are designed to please the eye. These types of fantasy bike builds require capabilities and resources that are usually beyond the reach of most riders. Adventure Bikes are some of the most frequently customized motorcycles, even if they don’t get much notice from the average motorcyclist. Adventure Riders love their Farkles and everyone has their own ideas for improvements they want to make when they purchase a new bike. Sometimes improvements are aesthetic, but more frequently they are functionality driven. The most common form of customization is when we install aftermarket parts that improve performance or comfort. Some Adventure Riders are more handy though and fabricate their own parts or swap parts from different models. In this story we take a look at five custom bikes built by amateurs. There are no professional shops here producing polished show pieces. These bikes were all purpose built by “real people” in a garage, kind of like yours. But they are all impressive bike builds in their own right. Hopefully, these custom build stories will inspire you to start your own ambitious project. Click the “Next Page” link below to get started. Which is the Best SPOT GPS Messenger Device for You? The SV650 is a nice custom but about as unsuited for adventure riding as a Goldwing. It would be a short race to see if the oil cooler or the radiator got destroyed first. Luckily the lack of luggage capability would not leave you far to push it home. Suzuki made the V-strom for this purpose, so modding an SV650 into an adventure bike is a waste of time, effort, and money. Kudos to that guy for the fabrication skills though. KLR is a great ADV bike. Who needs to reach 100mph with a fully loaded bike on unknown far flung roads with limited medical support? Suzuki DR650 is the best platform to start with. 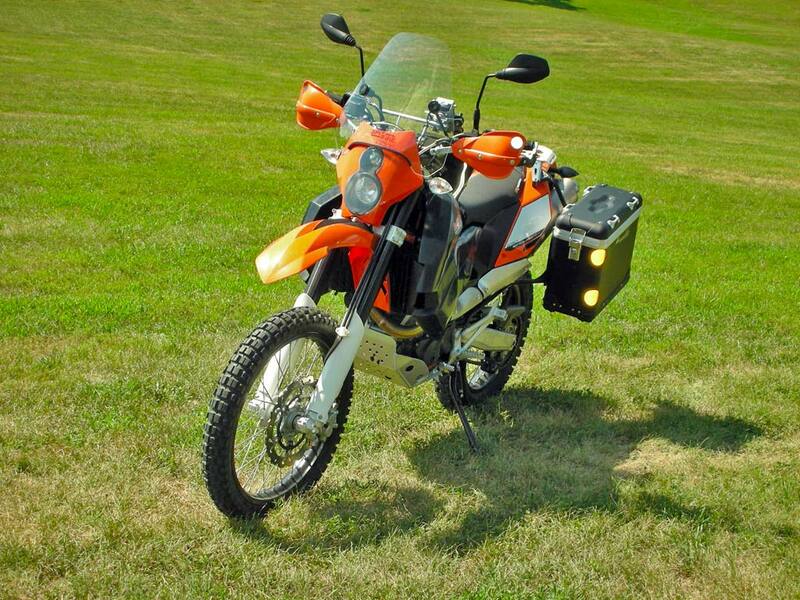 You can build a really cool bike that is bullet-proof and nearly 100 lbs lighter then the FS800 or similar bikes. Capable of going anywhere a motorcycle can travel, narrower, very dirt capable with upgraded suspension, tons of after-market parts available. Much more maneuverable then an Africa Twin, GS or even KTM due to the lighter weight and smaller profile.